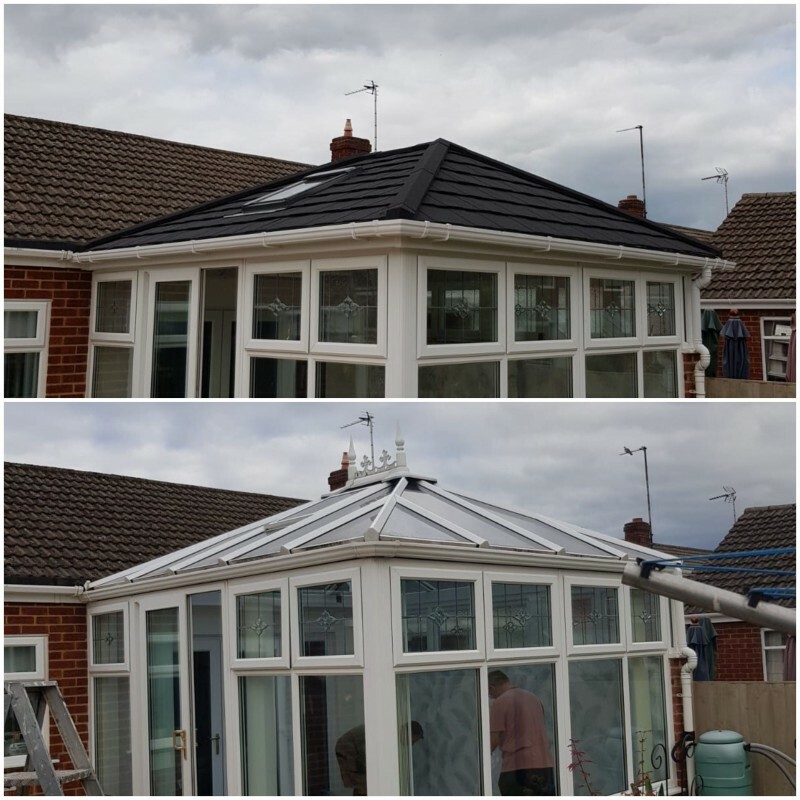 "We had a no pressure good value for money experience utilising this Company They were patient and understanding of our evolving needs and delivered exactly what we wanted"
"I am very pleased with the work carried out from start to finish Once I had agreed to go ahead with the new roof for my conservatory it happened very quickly All the workmen worked extremely hard sometimes in very hot conditions I can highly recommend them I had no worries whilst they were here They all arrived at the time they said they would and carried out the work extremely well I used this firm following a job they completed at a member of my familys house Very happy customer "
"Hi Steve, Clive and James carried out a superb job yesterday with installation of our windows. Absolutely first class service. Thank you very much. Will call into the office later this morning to make payment on the account. Kind regards, Dave H."
"Thank you Steve and your team for a superb job with supply and fitment of replacement windows, door and side panel to our property. We are absolutely delighted with the finished product. Your pricing was clear, concise and very reasonable. The quality of product supplied was top notch. The workmanship by your installation team was faultless. Overall, an amazing trouble free experience from start to finish. We have no hesitation in recommending this local business and would certainly use again. David and Karen Hartland"
"Dear Steve Just a quick note to let you know that we are both over the moon with the new roof. The whole process from start to finish was perfectly handled by Clive and James. They were extremely hard working and were fast and efficient with the task in hand - really hard working. Both were always willing to explain a process and put up with the questions we had for them. They managed to overcome several problems from the existing build, that nobody could have foreseen, with a willing attitude. The electrician was brilliant, explaining the best lighting to go for, as were both of the plasterers who also did a brilliant job. Many thanks Val and Brian Marsden "